We got a ton of feedback on last week’s episode, mostly in Brad’s email inbox. 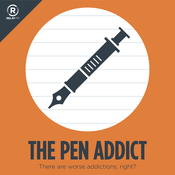 We go through those messages as part of an overall discussion about pen commentary and our place in it. We also dig into Kaweco’s soul, and what makes a Perfect Pencil.